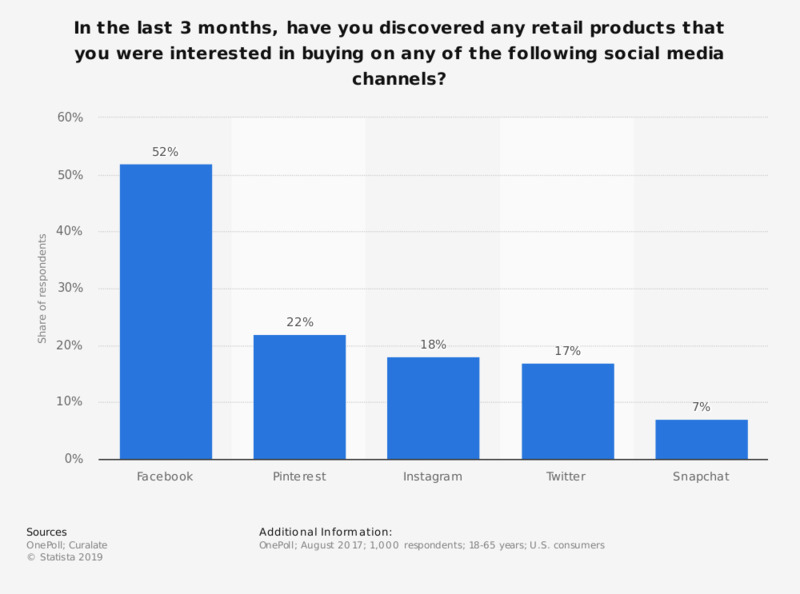 This statistic presents the information U.S. consumer interest towards purchasing retail products discovered through selected social media channels. According to the August 2017 findings, 52 percent of respondents stated that they had discovered a retail product that was of interest to purchase via Facebook. Question: "In the last 3 months, have you discovered any retail products that you were interested in buying on any of the following social media channels?"